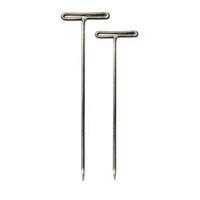 Home > ADHESIVES & FASTENERS > Pins > T-PINS, 1.5"
Available in 1.5" and 2" lengths, 100 per box. These straight pins with a "T" head are great for office and school projects. They can be used on fabric, cork, wood, cardboard and other surfaces. Great for craft and school projects when something needs to stay secure on a board! 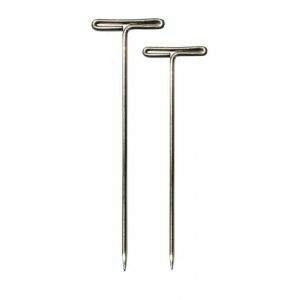 These pins allow you to exert more force comfortably with less finger fatigue. Nickel plated.